Our well-stocked pharmacy means you get your pet's medication immediately-usually no need to make an additional stop to fill a prescription. 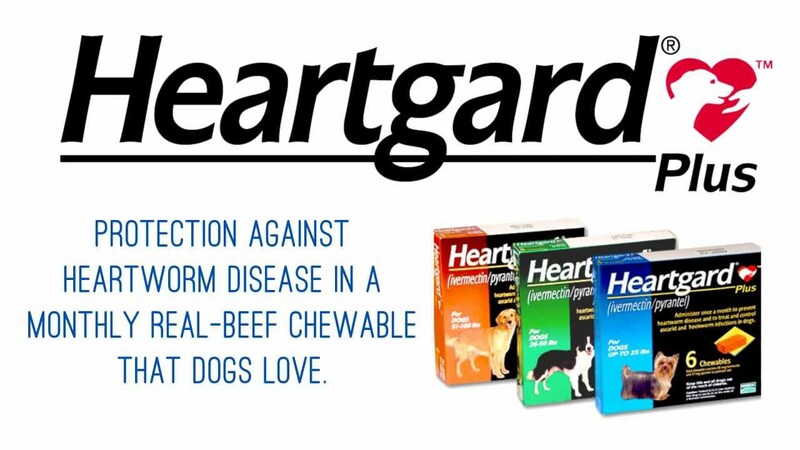 We also carry a variety of products for heartworm prevention and flea and tick control and are able to offer coupons and rebates not available with on-line pharmacys. Follow this link for more information on what we recommend for Parasite Prevention. For pets who are difficult to medicate, we can have medication specially compounded with a variety of flavors to make it more palatable for your pet. This works especially well for our fussy feline friends. Give once monthly on the same day for the prevention of heartworms and intestinal parasites. Click the image of the products we carry to learn more about them. We carry this mostly for cats to be used monthly for the prevention of heartworms, intestinal parasites, fleas, one kind of tick, ear mites and intestinal parasites. Revolution can be used in dogs (it does not have intestinal parasite dewormer aspect for dogs). Click the photo to learn more about it.